The most talked about slasher film of the 21st Century is now available on Steelbook for the first time ever. 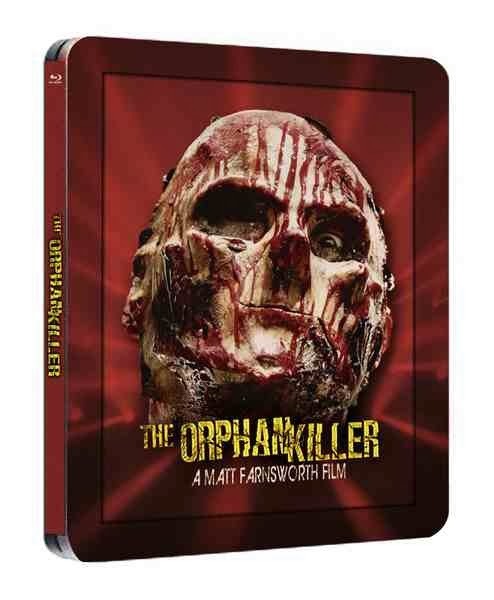 This new region free Steelbook Blu-ray includes a new menu, media book, and bonus content featuring a 1hr 30min look at the making of The Orphan Killer titled “Behind the Murder”. Starring Diane Foster, ‘Big Brother’ seeks to reunite his family and seek revenge against the Catholic school who tortured him as a youth. Banned in Germany, the brutality of ‘The Orphan Killer’ needs to be seen to be believed and there is no better way than with this limited edition Blu Ray disc. It also comes stocked with the viciously popular TOK Soundtrack. Click below now to order yours. Only 1,000 pieces are being made so order now before they are all slashed out of the bloody store.